I try not to cover the same individual more than once as there are so many to cover but Katy Perry keeps pushing the envelope when it comes to Illuminati symbolism. 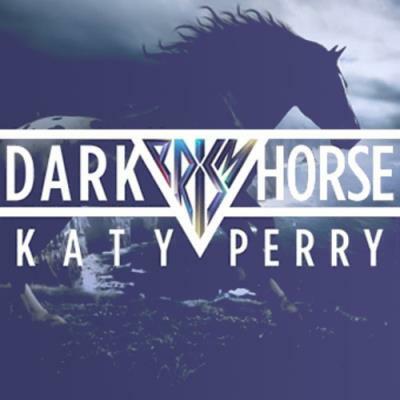 In her latest video Black Horse you would have to be Stevie Wonder not to pick up on all the symbolism. 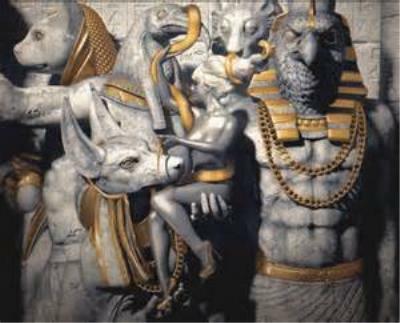 In the above still shot from the video we see Katy chilling with Egyptian Gods Anubis and Horus. The video has as many pyramids and all seeing eyes as can possibly be squeezed in a 3:36 min video. They should win an an Illuminati video award.